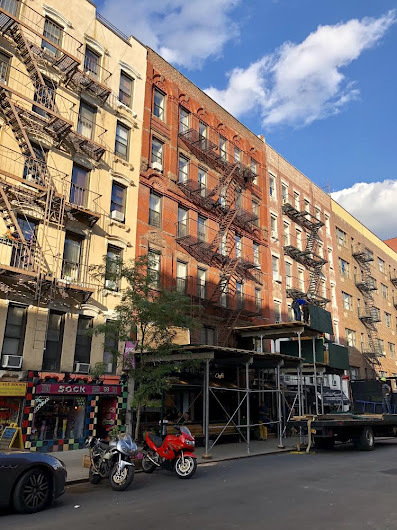 Workers were erecting a sidewalk bridge late this afternoon at 101 St. Mark's Place between Avenue A and First Avenue... home to Cafe Mogador, whose sidewalk cafe now gets some extra, and maybe unwanted shade. Permits for the sidewalk bridge don't appear to be on file with the city just yet. Permit issued for SWS Aug 08, 18 for "remedial repairs"